The latest in Square Enix's Tomb Raider franchise, Shadow of the Tomb Raider, will be released at the tail end of next week, so it's not before-time that the developers have published minimum and recommended PC system specifications. 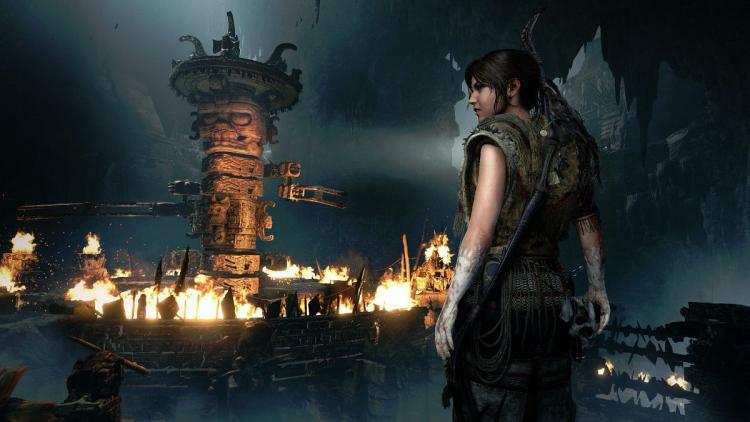 Prior Tomb Raider installments have been decidedly mainstream in their hardware requirements, despite often incorporating brand-new rendering technologies, and that state of affairs appears to once again be on the cards. Minimum and Recommended specifications come via the Steam product page, and so lack some context; specifically the performance expectations you should have for each hardware configuration. Nonetheless, some educated guesswork should fill in the blanks. The only surprising fact about these minimum specifications are how low they are. They should mean the game will be playable on a vast array of home PCs without requiring an upgrade, although one might expect that resolution and image quality settings will not be set particularly high. Okay, that's more like it. These are the sorts of specs you're going to need to play at 1080p60 Medium/High in all likelihood. The major stumbling block for many old systems which have had piecemeal upgrades will be the 16GB RAM recommendation, while the suggested GPUs indicate that an older GTX 970 or R9 290 might also be up to the challenge. Note that no mention is made of NVIDIA GeForce RTX technology, nor real-time ray tracing. Integration of technologies specific to the GeForce RTX family of GPUs will not be complete until a post-launch patch, making their inclusion in a system specification briefing moot. Shadow of the Tomb Raider is set for release on September 14th on PC, and can be pre-ordered today on Steam.